Head to Columbus Square for a free movie night! Columbus Square is hosting a free outdoor movie night, featuring the family-friendly flick “Coco”! Visit Columbus Square Park’s Facebook page for the most up to date information. In case of rain, movies will be postponed by one week. 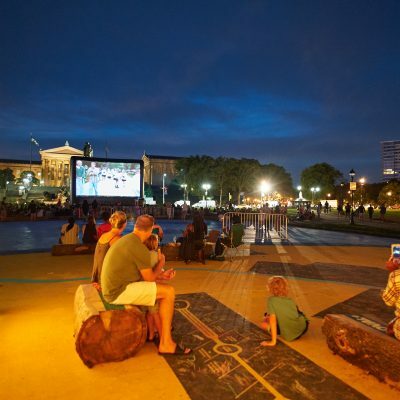 The movie nights are made possible by the Conservancy’s grants program, which allows Park Friends Groups to apply for small grants through the Conservancy each year. To learn more about the Conservancy’s event grants program, please visit our Park Stewardship page.